Themes feature saves time spent on trying to manually put a look together that suits your requirements. These themes can be applied to a single page, an entire document, or for specific shapes. 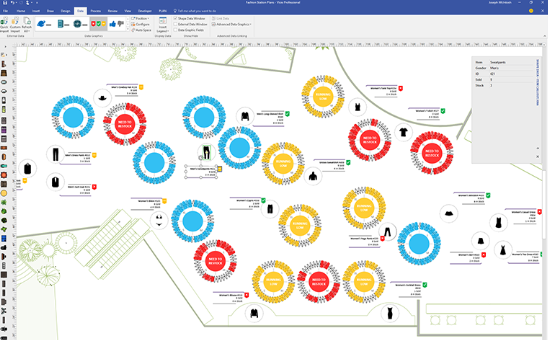 With Microsoft Visio you can group shapes together in a visually logical way. 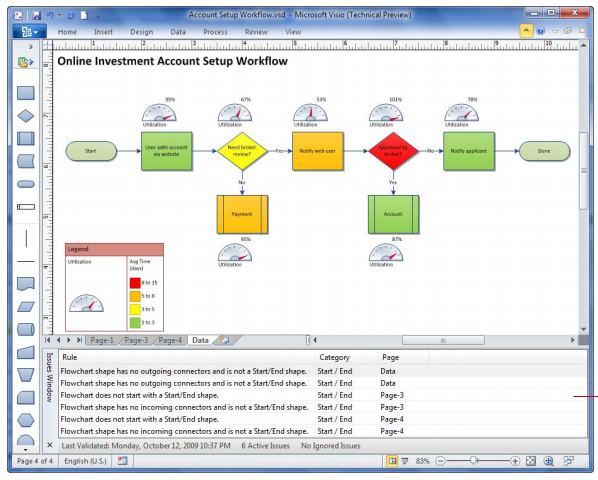 The Sub-Process Creation feature allows users to show complex multi-page diagrams in a simpler way without losing key information. Diagrams can be checked against business rules to maintain accuracy in representations. There is also a validation feature that can make sure diagrams are logical and constructed correctly. 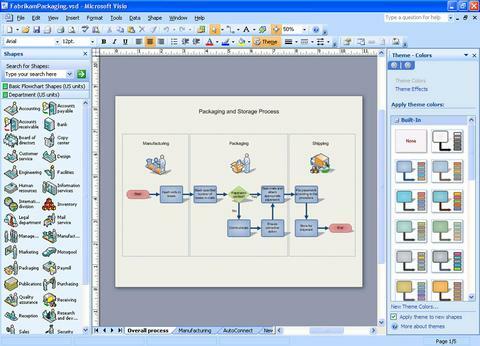 Visio 2007 has a clean and uncluttered user interface, which makes it easier to find what you’re looking for. There are various useful templates available. The most popular templates of each category appear first. Shapes can be added and aligned quickly with features like Quick Shapes Mini Toolbar, a better dynamic grid and automatic layout adjustment. The AutoConnect feature allows for automatic connections along with shape distribution and alignment. This is an intuitive feature, designed to help create accurate data representations with minimal effort. Diagrams are kept secure with Microsoft file protection technologies. Visio can read and write files in .vssx, .vstx, .vsdm, .vssm, and .vstm formats. It supports Information Rights Management (IRM) and the protection of email messages, attachments, and diagram files. Document rights can be managed easily, even on the individual user level. 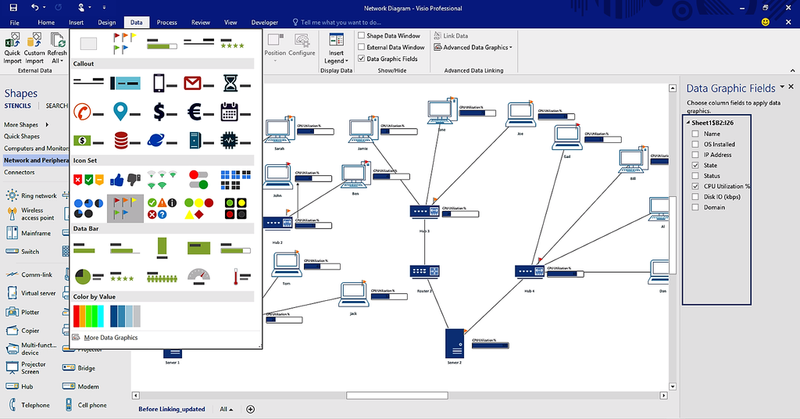 Several users can collaborate on a single diagram at the same time. Team members always have a real-time view of what other members are working on. These parts of the document are clearly marked and there are communication features to contact them without even leaving the desktop. Microsoft Visio 2016 is available through Microsoft Volume Licensing in editions like Standard Open Business, Professional Open Academic and Professional Open Business.